The Post-9/11 GI Bill® provides financial support for education and housing to individuals with at least 90 days of aggregate service on or after September 11, 2001, or individuals discharged with a service-connected disability after 30 days. You must have received an honorable discharge to be eligible for the Post-9/11 GI Bill®. The Post 9-11 GI Bill® will pay eligible individuals: your full tuition & fees directly to the school for all public school in-state students, a monthly housing allowance (MHA) based on the Basic Allowance for Housing for an E-5 with dependents at the location of the school and an annual books & supplies stipend of $1,000 paid proportionately based on enrollment. The MGIB program provides up to 36 months of education benefits. This benefit may be used for degree and certificate programs, flight training, apprenticeship/on-the-job training and correspondence courses. The monthly benefit paid to you is based on the type of training you take, length of your service, your category, and if DOD put extra money in your MGIB Fund (called "kickers"). You usually have 10 years to use your MGIB benefits, but the time limit can be less, in some cases, and longer under certain circumstances. REAP was established as a Department of Defense education benefit program designed to provide educational assistance to members of the Reserve components called or ordered to active duty in response to a war or national emergency (contingency operation) as declared by the President or Congress. This program makes certain reservists who were activated for at least 90 days after September 11, 2001 either eligible for education benefits or eligible for increased benefits. Chapter 1606 is an educational program for active members of the Selected Reserve. Selected Reserve components include the Army Reserve, Naval Reserve, Air Force Reserve, Marine Corps Reserve, Coast Guard Reserve, Army National Guard, and Air National Guard. The Department of Defense and the Department of Homeland Security (Coast Guard) determine who's eligible for chapter 1606. 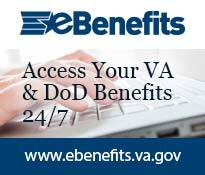 The Department of Veterans Affairs administers the program and pays benefits. Basic eligibility requires a 6-year obligation to serve in the Selected Reserve and satisfactory participation in required Selected Reserve training.